I don’t know about you, but I am constantly updating my organizational routine. This means I’m always on the hunt for a new tool to help me stay organized. From cloud-based calendars to new ways to think about to-do lists, I love finding tips and tricks for keeping my tasks under control. Need some sticky note alternatives? I know how you feel! In the past, sticky notes have been my place to jot down reminders. I’ve used them to capture a lesson idea or something want to include in a blog post. I’ve also used them to create a list of a few things I need to take care of before the end of the day. These types of notes can be captured in lots of ways, from a stack of paper sticky notes on your desk to a mobile app (or web-based platform) for staying organized. Although I’m traditionally a big fan of sticky notes (and other sticky classroom supplies), as I bounce around from one school to another – and from one device to another – it’s become increasingly necessary to shift to more digital forms of organization. 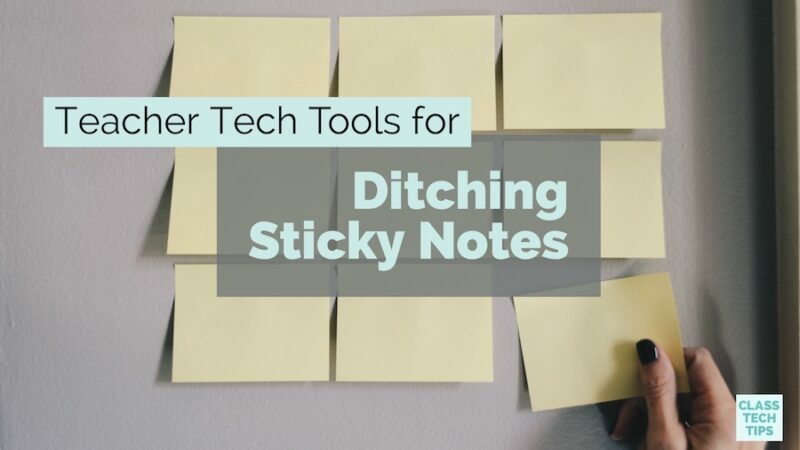 On this list, I’ve shared a few of my favorite tech tools for ditching sticky notes. 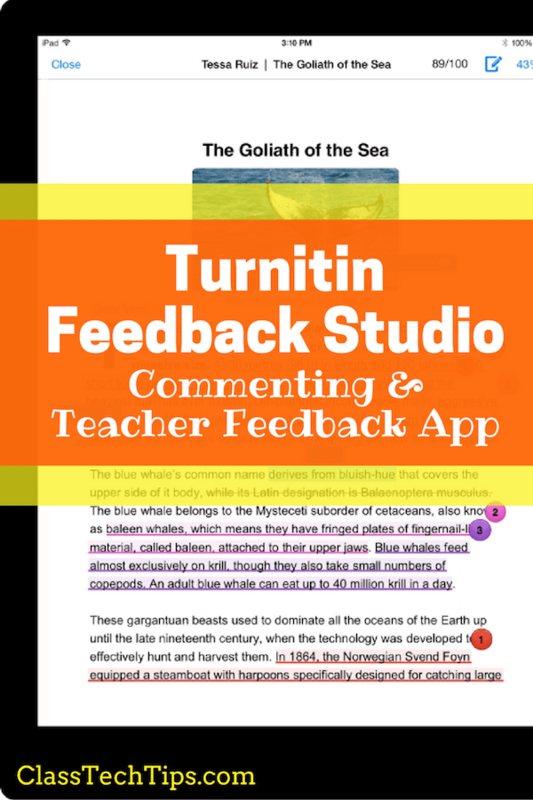 If you have a favorite, add your suggestion to the comments section of this post. 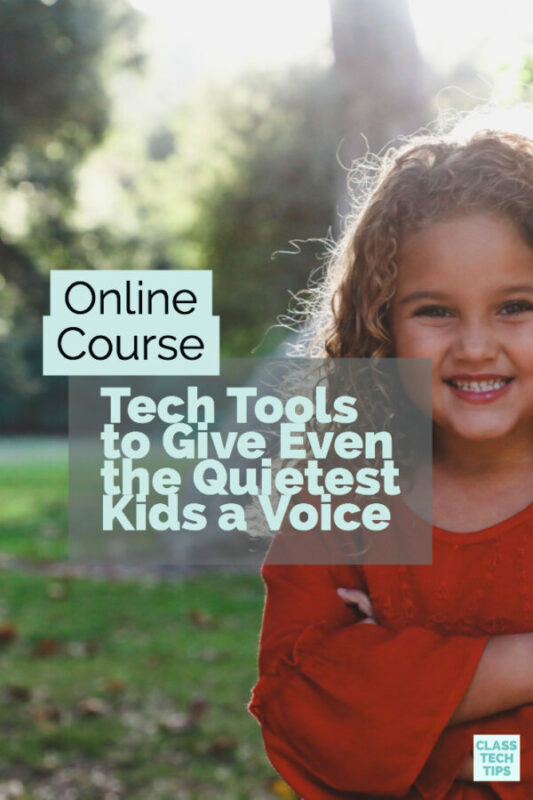 You don’t have an Amazon Echo Dot in your classroom to shout out reminders using voice command. There are a handful of “assistants” built into smart devices. From Siri on an iOS device (iPad or iPhone), and Mac computer can sync with Reminders across platforms. This means if you are in front of a Mac computer in the morning, the reminder you set up will pop up on your iPad later in the afternoon. I’ve been trying out a Microsoft Surface tablet this month and the voice assistant on these devices called “Cortana” can also be used for reminders. You might have heard of Dragon Dictation (now known as Dragon Anywhere) which is just one example of a mobile app that can capture your voice as you speak into your device. Available on Android and Apple devices this mobile app lets you talk into your phone to create text. In addition to standalone apps, you’ll find that voice-to-text features are available on many platforms. They are often built right into their operating systems. For example, if you open up your iPad keyboard, you’ll see a microphone button. This button triggers voice-to-text built into your keyboard. If you have an idea for a lesson on the go, and there is a stack of sticky notes next to you… go for it! You can jot down a note on paper quickly then use this awesome app from the folks at Post-It to snap your sticky notes and keep them ready to access on your mobile device. This app actually works with any type of sticky notes so you could use one of these too. In addition to snapping and scanning with this app, I love keeping track of traditional paper notes with the document scanning feature built into Dropbox. Whether you have a free account or a paid Dropbox account, you can use the mobile app to snap a picture of anything. Then you can add it to a folder in your Dropbox so it will sync across devices. In addition to the voice-to-text options list above, a voice recorder is an excellent option. It can help you capturie a quick thought you want to replay later. Voice-to-text options are great for quick reminders. But sometimes they fail to capture a few words correctly making it more challenging to use those types of apps for longer thoughts. Whether you’re walking to the train to start a commute home or pausing in the aisle of the grocery store, a voice recorder app can let users capture a quick thought. Many voice recording apps (like this one) let you send the recording to your inbox, so it’s waiting for you to replay later. There are a handful of favorite apps for creating reading lists. These tools are designed to help you bookmark articles or websites you come across during the day. This makes it easy to revisit when you have some downtime. I often scroll through Twitter or a newsletter in my email inbox. Then I come across something I don’t want to forget. You might use a tool like Pocket which lets you bookmark articles across devices that you want to come back to later. Another option for organizing articles or resources you want to come back to later is the Collections feature from Participate or the boards you can create in Pinterest. For shorter to-do lists a mobile app or web-browser tool that syncs across platforms can definitely come in handy. Evernote and Google Keep are two examples of tools that sync across multiple devices. Taking stock of your “go-to” tech tool can help you decide on what direction to take. Both Evernote and Google Keep have mobile apps. These apps run on different smartphones and can also be used on a web-browser. So if you have a few to-do list items to jot down while you’re on the go, the mobile app will sync up with the computer you might log into later in the school day. Using a combination of traditional and tech tools for staying organized is a great place to start. I moved away from sticky notes after finding too many stuck on the bottom of my shoe. What are your favorite tech tools for staying organized? Share in the comments below!